It is sometimes said that words can never hurt someone, but in the case of emotional outbursts that include threatening speech, you could find yourself facing charges of making criminal threats or stalking. At Yeretsian Law, our lawyer, Lara Yeretsian, will treat you with dignity and respect and fight hard for your due process rights. Our firm is based in Glendale and serves clients throughout Southern California. The threat must be unequivocal, immediate, unconditional and specific. The accused must have means to carry out the threat. The threatened person must feel a reasonable and sustained fear for their safety. Criminal threat charges can be filed as a misdemeanor or a felony, based on the defendant's criminal history and the circumstances of the incident. Stalking charges often are leveled at estranged partners or spouses, but a person can be stalked by a person who is unknown to them, as is the case with celebrities stalked by strangers. Stalking is defined as willfully and maliciously following another person with the intent to harass them, and making a credible threat that reasonably places the person in fear of their own or their family's safety. If the stalking harassment takes place via texts, email or the internet, the charge falls under the state's cyberstalking law. California law sets the penalty for stalking at one year in county jail and up to $1,000 in fines. The sentence can be enhanced significantly if a protective order was violated or the defendant made criminal threats. Our firm puts its focus on you, and provides personalized attention as we guide you through the justice system. 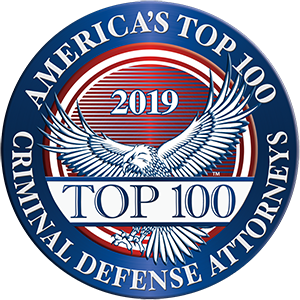 If you are facing a criminal threat or stalking charge and need a strong defense team, call 818-741-1220 today or email us to arrange a free case consultation. Our practice speaks Spanish, Arabic and Armenian.